I'm a huge fan of anything 'Tattered Angels' & couldn't wait to have a play with their Tailored Tags. 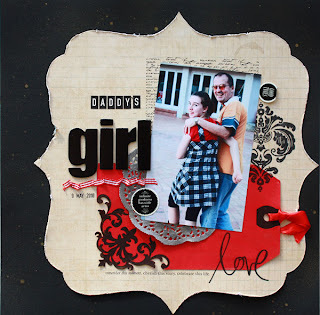 With 'Daddy's Girl', I simply sprayed with glimmer mist & used behind the photo. The shimmer on the tag is gorgeous! Bazzil cardstock; Pink Paislee paper; Tattered Angels tailored tags & glimmer mist; doily; Heidi Swapp stamp; Fancy Pants stamp; Technique Tuesday stamp; Scenic Route alpha's; 7Gypsies stickers; ribbon; date stamp. For my 'Memories' layout, the corner of the tag was already cut out...I simply continued the cutting. I embossed the heading in silver & then glimmer misted over the top, blending the two colours together. 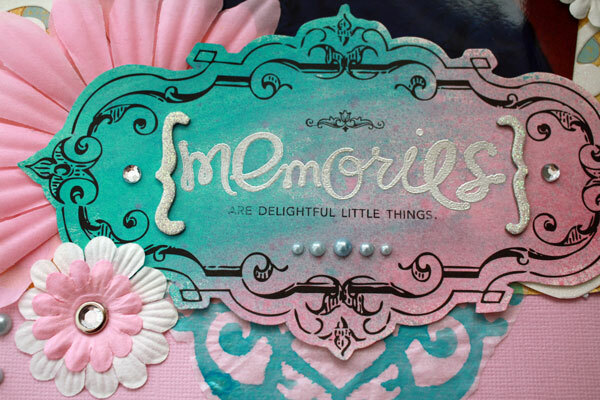 Bazzil cardstock; Crate paper; Bella lace paper & flowers; Tattered Angels tailored tags, glimmer mist & glimmer screens; MM crystal brads; Heidi Swapp stamp; silver embossing powder; Kaisercraft stamp, pearls & bling; tissue paper. 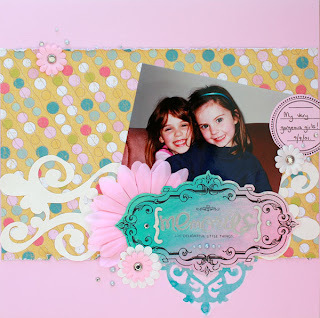 Gorgeous, gorgeous work Paula !!! Love it !! !